As part of the events connected with the just concluded 19th Chinese Communist Party National Congress, there was a press conference on October 21, 2017 during which, Zhang Yijiong, the executive vice minister of the Central United Front Work Department, talked about the Dalai Lama and Tibet. In his response, Zhang repeated the Party line about the Dalai Lama being “a leader of a separatist group that is engaging in separatist activities”, and therefore the Chinese Government oppose any meetings by governments and others with him. The Dalai Lama had subsequently concretized his initiatives on the future of Tibet through his Middle Way Approach that called for genuine autonomy for the Tibetan people, something actually guaranteed (but not implemented) in the Chinese Constitution and Law on Regional Ethnic Autonomy. The Chinese authorities know that the Dalai Lama was not calling for “separatism”, but not having the political courage to acknowledge this, they sought recourse to semantics by saying they are against “semi-independence or disguised independence”. Following the devolution of political power by the Dalai Lama to the elected Tibetan leadership in 2011, the Central Tibetan Administration has continued to be committed to the Middle Way Approach. Governments, even those close to China, are aware of this Tibetan position, as are people who know about the Dalai Lama, including the thousands of Chinese who are able to know the truth. 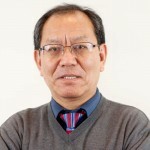 Since the Dalai Lama continues to garner unimaginable (for Chinese leaders) international public support, and since he has begun to focus on the younger generation (who are in schools) that can contribute positively to humanity, Zhang makes it seem as if the universities are the only space that is available now to the Dalai Lama. 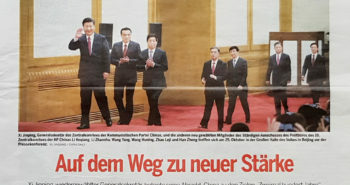 Which Chinese leader can hope to fill a stadium or an auditorium (often for several days at a stretch and with people willing to buy tickets)? The Dalai Lama does this all the time (most recently during his talks in Pisa and Florence in Italy in September). 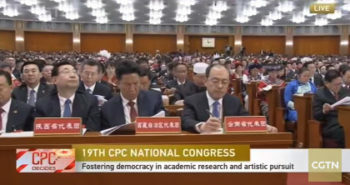 While talking about money, unless the interpreter was wrong, Zhang says “Usually a university paid the Dalai to give a speech” making it seem as if His Holiness is making money out of them. Those who organize talks by the Dalai Lama, including universities, and those who attend such talks clearly know that he does not charge money for such events. In fact, the Dalai Lama’s website clearly says, “For your information, as a long-standing policy His Holiness the Dalai Lama does not accept any fees for his talks. Where tickets need to be purchased, organizers are requested by our office to charge the minimum entrance fee in order to cover their costs only.” Since I have had the privilege of being part of his entourage during several visits to North America, I know that at all such public talks by the Dalai Lama where tickets have to be purchased a public accounting of the finances is done at the conclusion. Where there is surplus money they are allocated to local and other charity work. None of the money goes to him. Zhang might be saying this to lay the ground for legitimizing the Chinese Government’s interference in Tibetan Buddhism; but anyone having only a cursory knowledge of Tibetan Buddhism would know that the spiritual knowledge came from India and had nothing to with China. For God sake, there is a reason why the term “Buddhism” is included in Tibetan Buddhism, because it is the religion founded by Lord Buddha. Zhang’s utterance that Tibetan Buddhism “has Chinese orientation”, lays bare China’s political agenda of wanting to Sinicize Tibetan Buddhism and make it Chinese. Thus, Zhang Yijiong’s statements might serve the narrow interest of that section of the Chinese leadership that does not want a resolution of the Tibetan issue and does not want the Tibetan people to enjoy their fundamental human rights, including religious freedom. But does this serve the long-term interest of China? Why should the Chinese people be concerned about views of individuals like Zhang? Referring to viewpoints like this, Chinese intellectual Wang Lixiong said in 2009 in Washington D.C. while receiving the International Campaign for Tibet’s Light of Truth award, on behalf of the Chinese scholars, “This is the major long-term obstacle to resolving the Tibet question. Removing this obstacle should be the mission of China’s intellectuals, for there is no greater knowledge than the truth”. Wang also added China’s fake propaganda and information blackouts prevented most Chinese from understanding that the Dalai Lama was seeking a non-violent “Middle Way” of greater rights for Tibetans under Chinese rule. In fact, a 12-point suggestion, signed by several hundred mainland Chinese scholars, in the wake of the widespread demonstrations in Tibet in 2008 included a call to the Chinese Government not to do things that are not in the interest of China itself. If the Chinese leadership in fact believes that the People’s Republic of China is a multi-ethnic nation, with Tibetans being equal citizens, they should walk the talk. Zhang Yijiong’s statement does not do that. It seems to me, an American who only in recent years has learned about and come to greatly admire Tibetan Buddhism, that the West now knows so much more about Buddhism than the people of China. 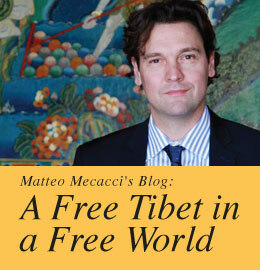 Therein is the dichotomy between Western thought and that of China. I have no doubt the majority of the Chinese people would greatly respect the Dalai Lama, as do Western societies, if they were only given the right of freedom of information. This of course is something the communist Chinese government will fight to its dying day, which may not come in my lifetime, but hopefully not long after. Thank you for your efforts over the years to increase awareness about the Tibetan issue and the battle to start a meaningful dialogue with the stubborn Chinese leadership. I would like to request that the ICT highlight the fact that Lobsang Sangay is the political leader of Tibet. I have seen Samdhong Rinpoche with his sleeves up when talking about the Chinese position. We want Lobsang Sangay in a black suite and blue tie. We want him talking about what he going to do for all Chinese people as a candidate for the Presidency of China.